TestValet offers intuitive GUIs for different user roles in the application that facilitate the workflow of test requests. User role specific dashboard lets users perform subsequent logical actions defined in the workflow intuitively in single click actions. Context sensitive dynamic menu options in different user interfaces enable workflow automation. This module is a basic component of TestValet and involves the customization that each client receives as part of the overall package of TestValet. 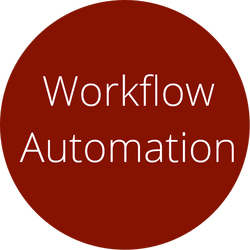 Workflow/Process Automation is accomplished by first clearly defining the process or natural/desired workflow actions and sequences. It also allows for changes in culture that are so hard to do from within an organization and are very important in improving quality or productivity. The discussion of workflow allows the organization to address the questions of why they do what they do and are some of the steps necessary and the review of existing process can point out weaknesses and address them. If the organization doesn't have a documented workflow to start from, VI supplies a standard template from which to develop such a workflow that fits the environment. Beyond the cultural and process change that often occurs with the advent of this tool, there are other benefits such as elimination of rework or retest by following a process and not cutting corners. Detailed audit trail of various workflow steps offer traceability at all levels. Communications improve naturally through well-defined steps and their automation. And by making all actions computer related, metrics are easily defined to help the evaluation and management of the test resources.